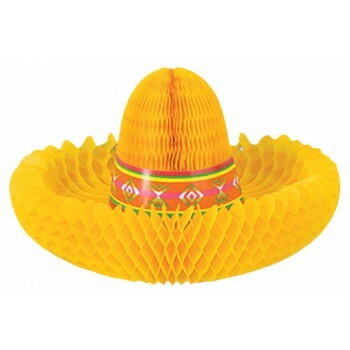 A strikingly colorful centerpiece perfect for your Cinco De Mayo party. 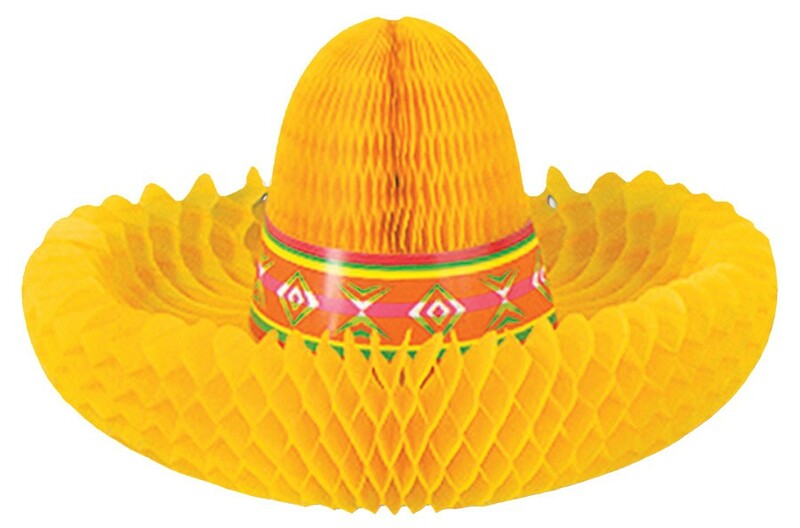 Item is yellow and shaped like a sombrero when fully extended. Tissue/Paperboard. 12 in.